Many patients experiencing chronic pain on different parts of their body have on clear goal - to find relief for their pain fast. However, most of them are not aware of the long term benefits of seeking chiropractic care for their condition and the promise of better health beyond relief for their pain. Chiropractic doctors usually ask their patients to visit regularly to monitor their spinal health and maintain its good condition for as long as possible. This is just similar with visiting your dentist for regular dental checkups and to maintain oral health. But many people find the notion of regularly visiting chiropractic doctors peculiar and only remember to do so when they finally feel something wrong with their back and spine. When you experience pain in your lower back, tension headache and neck pain, the immediate goal you have it to make it stop. And when the same happens to recur, you have to start looking for long-term health goals and start understanding that proper spinal health is actually more about finding relief for different types of pain. Good spinal health means good impact on the functions of your nerves and this influences each organ of your body. 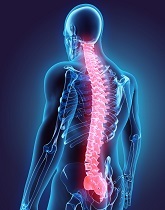 Not many are aware of how spinal health is associated with different functions of the body. One significant example of this is the case of a 53 year old man with a history of chronic obstructive pulmunary disease for the last 20 years. After 14 months of going through chiropractic care, showed great improvements on the air he exhales in a single complete breath and the air he inhales in the first second of the completed breath. Long term implication of how chiropractic care and lung volumes cannot be exaggerated because even lung volumes do not improve in adults even for those who do not have pulmonary issues, it fact it even decline as you age. Depressed lung volumes are actually linked higher risks of heart attack, stroke and other cardiovascular diseases. But apart from better lung volumes, chiropractic care is also known to benefit balance, vision and reaction time. Most people only aim for their short term goal of finding relief for their pain, but chiropractic care can help people achieve better spinal health and improved overall health in the long run. You will be glad to regain better lung capacity, reaction time, balance, visual acuity and cardiovascular health as you regularly visit and monitor your condition with your doctor over time. Tea: Is It Time for a Tea Party?